South Korean Ambassador to China Noh Young-min may replace Im Jong-seok as President Moon Jae-in’s chief of staff in a presidential secretariat reshuffle some time before the Lunar New Year, local media reported Friday. According to reports citing unnamed sources, Cheong Wa Dae is preparing for a reshuffle including a replacement of the chief of staff. For the post of chief of staff, Noh is considered the most likely candidate, but South Korean Ambassador to the US Cho Yoon-je and former Minister of Culture and Tourism Jung Dong-chae have also been linked to the position. Noh, a close associate of Moon, served three terms in the National Assembly and held a key post in the president’s election campaign in 2017. 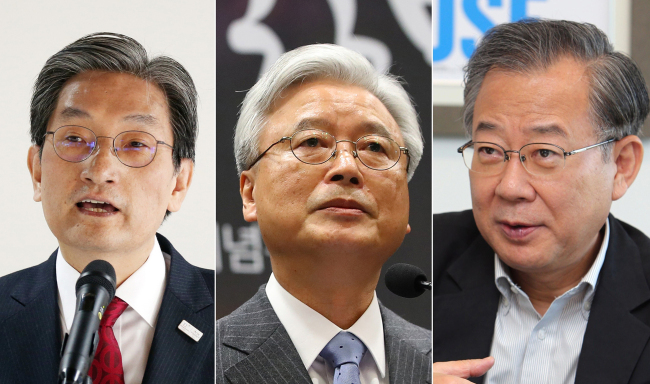 Along with the chief of staff, Moon’s senior press secretary Yoon Young-chan and senior secretary for political affairs Han Byung-do are among those who could be replaced, according to news reports. News reports citing unnamed sources have also raised possibility of replacing National Security Office chief Chung Eui-yong with National Intelligence Service Director Suh Hoon.